No duration given for B1 subtracks. 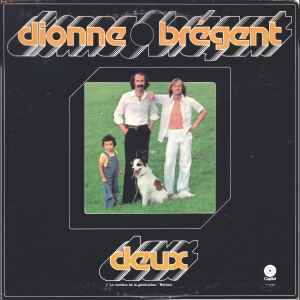 This is the second album (naturally, as "Deux" is French for "Two") by Vincent Dionne and Michel-Georges Brégent out of Quebec. This is quite a stark contrast to their debut, Et le Troisième Jour, as the avant garde approach had been ditched in favor of a more prog rock approach, giving it a much more friendly vibe. Dionne now included a traditional rock drum set on top of the tons of percussion he uses. It proves he has no problem in the drumming department, having a full understanding of rock and fusion drumming. Brégent used tons of great keyboards including Farfisa Professional Duo organ, Mini-Moog, Vako Orchestron, Mellotron, Fender Rhodes electric piano, and clavinet. They also get some help from a string quartet, and even a harp player. The electronic side comes from the heavy use of the Mini-Moog, with "Transit-Express" being the most overtly-electronic number on this album, while "Le Prophète" is closer to symphonic prog, done in their own style. I am particularly fond of the "Danse Françoyse" section where Brégent does a medieval-influenced melody on the synth. "Campus" shows the more fusion-end of things, there's even a short drum solo. Given the approach of this album, I wouldn't be surprised in the least if this sold a few more copies in Quebec than its predecessor. If you were intimidated by their debut, I can still highly recommend this album. It all comes down to the mileage you'll get. If you like electronic more on the avant garde side, Et le Troisième Jour is what I recommend, those who prefer a more prog leaning album should go for Deux. Personally I enjoy them equally, so it's really your decision which one you prefer.